Elias Dinas holds the Swiss Chair in Federalism, Democracy and International Governance at the EUI, on leave from the University of Oxford as Associate Professor in Comparative Politics. 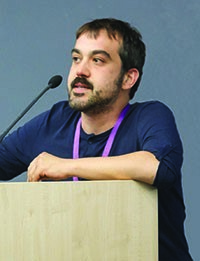 He holds a Ph.D. in Political Science (EUI, 2010) and his current research focuses on the determinants of outgroup prejudice with an emphasis on the role of family history. He also works on the legacy of authoritarian rule on the ideological predispositions of citizens in new democracies. His work appears in various journals, including the American Political Science Review, American Journal of Political Science, Political Analysis, and International Organization.